What is Initial Coin Offering and is it worth investing your money? 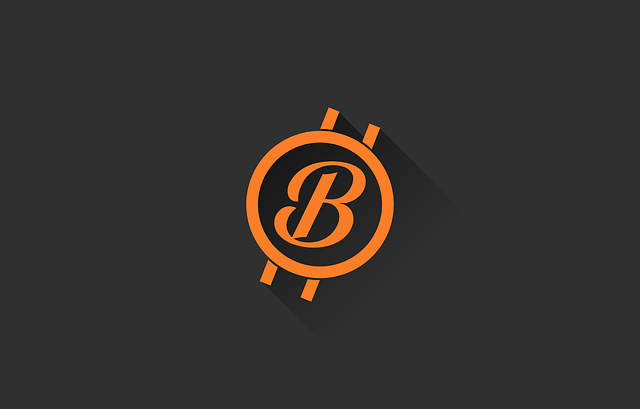 Home - Trade Insider - Bitcoin - What is Initial Coin Offering and why should you invest? What is Initial Coin Offering and why should you invest? As new trends arise, so do the opportunities that can be had. This year’s biggest trend, at least financially, is in virtual currencies. Before 2013, Bitcoin was the most recognized virtual currency, and even then only a handful of people showed interested. This year, though, there are more than 1,000 virtual currencies according to Coin Market cap. Furthermore, more are being created, each of them vying for the top spot. In case you’re wondering how it is that a virtual currency comes to existence, enter, initial coin offerings, ICO. You may notice that the initials ICO very closely resemble those of an IPO (initial public offering) when new stocks are made public. The reason is that an ICO is very similar to an IPO. To understand, imagine you wanted to create your own virtual currency based on the blockchain network. Blockchain code is open source so it’s free to anyone. Your main problem would be finding miners, the people who maintain the blockchain database. The reason why there are so many Bitcoin miners is that they are rewarded in Bitcoin, which is very valuable. So, for you to entice miners, you would have to make your virtual currency attractive in terms of value. This is where the ICO comes in. an ICO refers to the process of offering some of your virtual currency to the public in exchange for another already popular cryptocurrency. The already existing cryptocurrency would thus transfer value to your coin in the process. Since Bitcoin and Ethereum are the most popular cryptocurrencies, you would accept these as payment in exchange for some of your own cryptocurrency. However, how to attract miners and investors? Again, it is the same challenge as that of an IPO, you have to prove what you’re offering is unique and with actual utility. Every popular cryptocurrency has a unique feature – Ethereum can be used by businesses, ripple is cheap and Bitcoin is popular. If investors like your idea, then they will pay you for your cryptocurrency. After the ICO, your virtual currency will then be listed on exchanges for trade, and if popular enough, it can grow in market capitalization. How do ICOs make money? Just like a stock, the value rises depending on demand – higher demand pushes value higher. Also just like an IPO, you market your coin at a certain price during the ICO, and then its value will be determined by the price action. If there is sufficient demand for a cryptocurrency, its value can rise very quickly. Remember, virtual currencies are a lot more volatile than typical stocks, and growth can be in the triple digits. Take EOS tokens, for example, which were launched on the 26th of June at about $1. Within a week these tokens were worth more than $5 each, which is about a 400% rise in value, in a week! What was fascinating about this ICO was the tremendous demand, with a fifth of the tokens being sold within a week creating a sellout. In fact, the developers had to limit the number of tokens that could be bought in a day to prevent a total sell off. There have been other successful ICOs before EOS, some of which showed just as much growth as EOS. The point is that these ICOs can be a good investment opportunity to anyone. Furthermore, with the relatively low capital requirements, anyone can participate and enjoy the profits. However, just as there have been success stories, some have not been so encouraging, which leads to the next question, what makes a good ICO worth investing in? How do you pick which ICO to invest in? The main thing to look for in an ICO is sustainability and utility, that is if you want to be an investor. So, why was EOS so successful? It is an excellent idea with great potential. EOS would allow users to create web-based applications on the blockchain network and run it online without the need for a central server. It would be faster, more secure and allow parallel processing. If this idea became a reality, then the applications would be unlimited. Imagine if companies no longer had to run power-hungry server rooms and instead used the idea behind EOS? Think of all the applications on mobile devices with limited space for installing resource-heavy apps? In addition to all the potential, the team behind the idea was a good one, with some prominent names like Daniel Larimer. Today, the value of EOS tokens has fallen to about $1.80, but its applications are still possible, so it’s not dead yet. It is still something an investor might be interested in. Therefore, an investor should consider if there are actual applications for the technology/idea behind the ICO, and who is running it. On the other are the speculators looking to cash in on quick growth and run. If you’re a speculator, all you need to consider is the hype. As long as you see a lot of chatter about a certain ICO in cryptocurrency forums, go for it. High demand, no matter how short-lived, is enough to raise a virtual currency’s value dramatically within days or even hours. When you achieve your desired result, cash in and watch from the sidelines. Basically, there is money to be made in ICOs, you only need to know what you want and consider if your choice is ideal. So, the answer to the topic question is yes, you should invest.